It has been a super busy week here at Hesso HQ for our main man Jack Savoretti. His single ‘We Are Bound’ stays on Radio 2’s A list for another week and has been added to BBC Radio Scotland’s A List. His headline performance from Cheltenham Jazz Festival will be broadcast live on Radio 2 on April 27th on the Jo Whiley Show. He will also take part in a Simon Mayo Drivetime interview during soundcheck and a Janice Long interview and acoustic session to follow at the weekend! 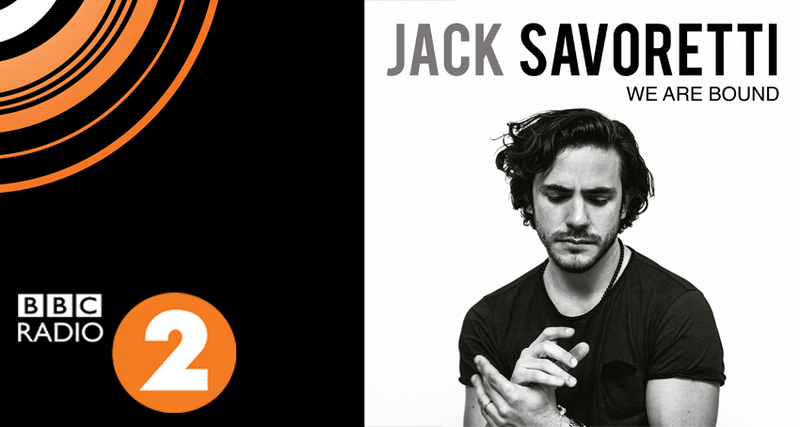 You can also listen to his recent interview on Steve Wright here where 3 of Jack’s tracks were also played!